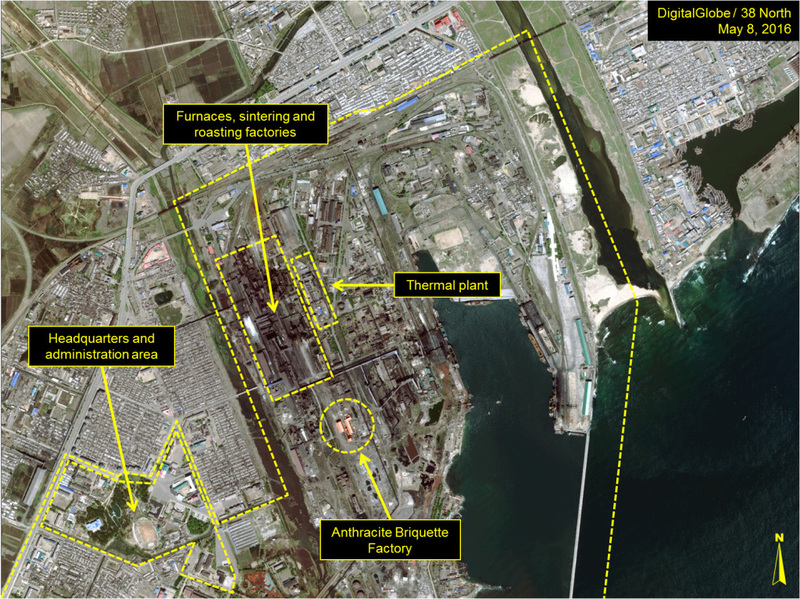 A comparison of commercial multispectral and thermal satellite imagery from 2015 and 2016 indicates that the Kim Chaek Iron and Steel Complex has not been shut down due to the lack of materials and electricity as has been suggested by recent media reports. While not at full capacity, critical factories and facilities within the complex have been operating at a low or intermittent level during the past year. Among the factors contributing to this analysis are the general thermal characteristics of the facility, presence of small numbers of people, greenhouses being tended, construction of a small factory and ongoing coal delivery operations. All of these factors indicate a moderately active facility. Additionally, during the past year, resources have been dedicated to modernize components of the complex. Despite these signs whether the Kim Chaek Iron and Steel Complex will achieve full production capacity anytime in the near future is uncertain due to factors such as constrained budgets and a lack of raw materials. 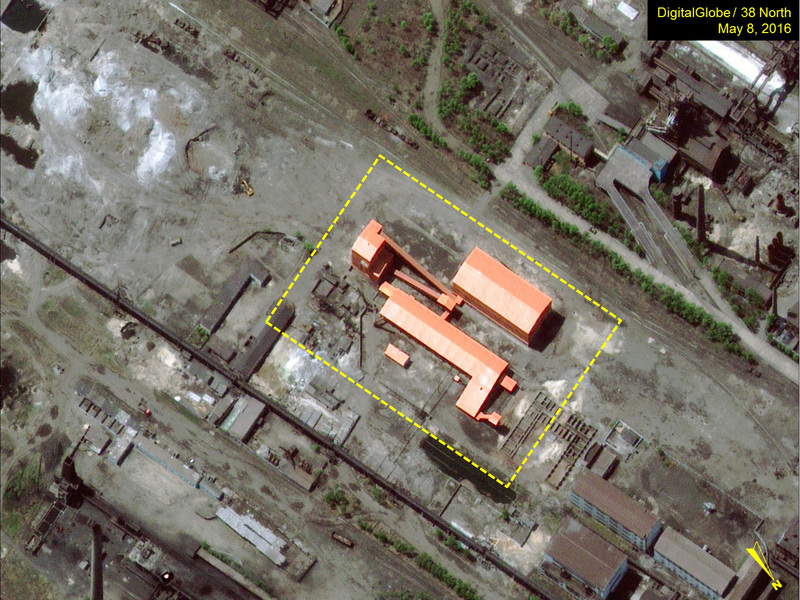 The Kim Chaek Iron and Steel Complex is North Korea’s largest and oldest steel mill. 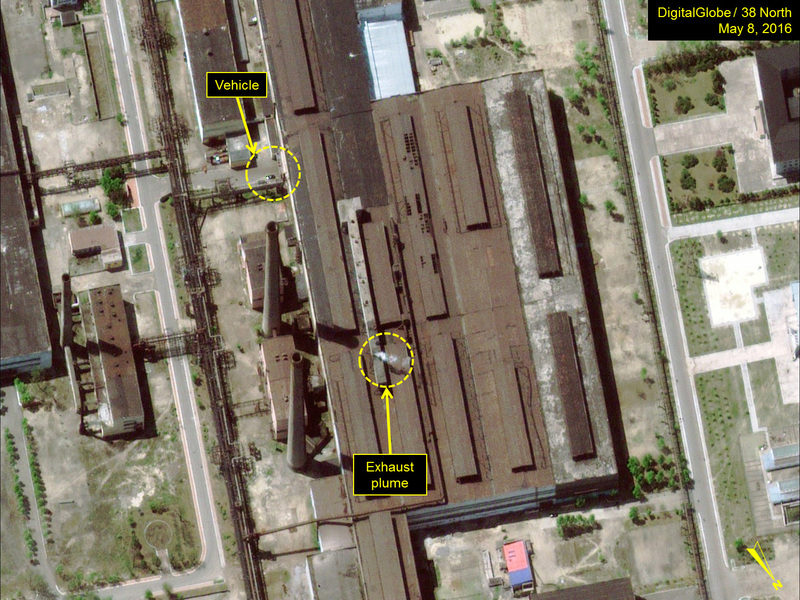 It is where “Juche steel” was first produced and has frequently been held up as a showcase or model of North Korea’s industrial and technological development. Figure 1. The Kim Chaek Iron and Steel Complex. 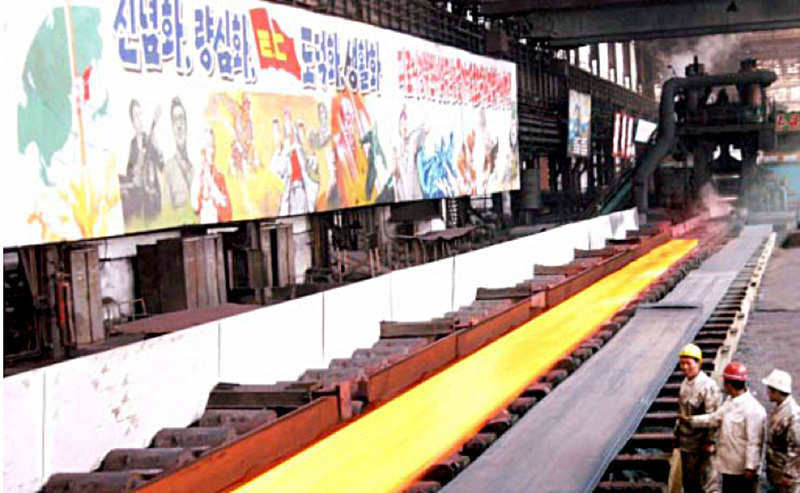 The state should take thoroughgoing measures to make certain that the sector of metallurgical industry receives adequate material supplies and the metallurgical factories, such as the Kim Chaek and Hwanghae Iron and Steel Complexes, expand the successes achieved in making their production Juche-based and modern. By doing so it can increase the output of iron and steel. 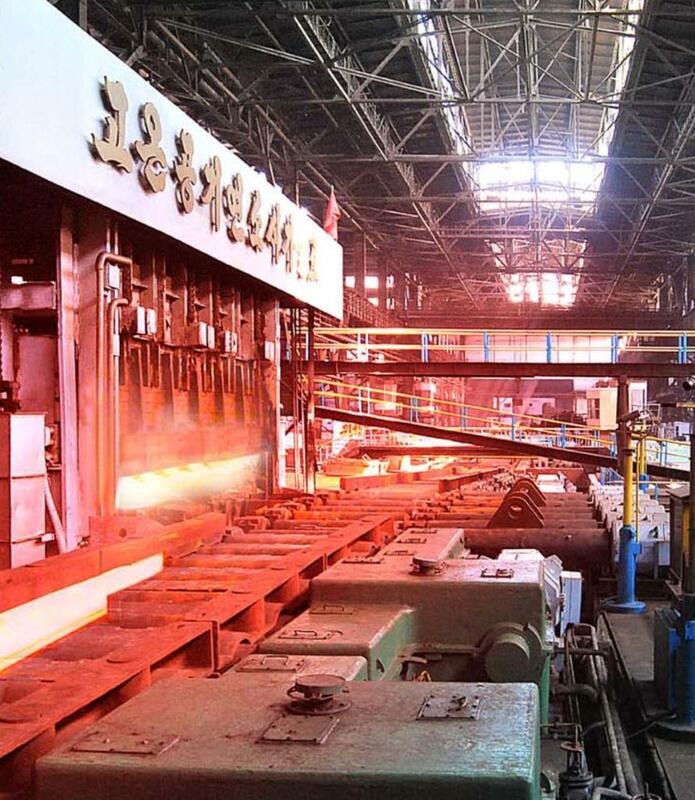 The products of the Kim Chaek Iron and Steel Complex are used throughout the nation and have been sold abroad to China, Russia and other countries. 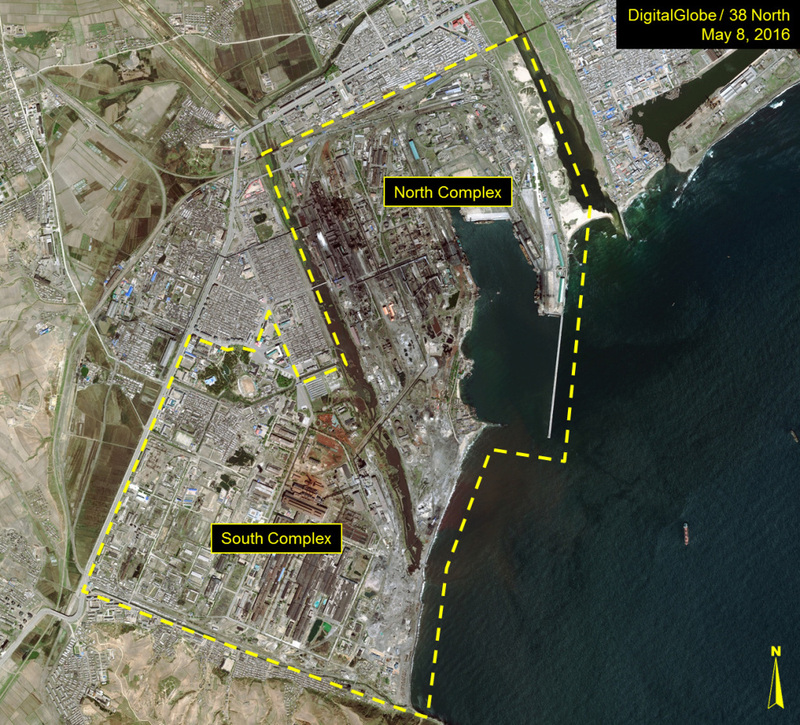 It’s preeminent position within the North’s industrial infrastructure has also resulted in the facility being the subject of export controls (sanctions) for involvement in the DPRK’s nuclear, chemical, biological and ballistic missile programs. Figure 3. Rolling Mill at the Kim Chaek Iron and Steel Complex. Despite repeated propaganda statements during the past 25 years that the complex has made great strides in modernization and exceeding desired production levels, since the famine and economic collapse during the 1990s, Kim Chaek has grown obsolete, failing to meet desired production goals and has rarely operated at full capacity. In fact, it appears that operations at major sub-components of the complex have occasionally been drastically reduced or suspended for extended periods. For example, there are reports of the complex having been shut down or operations at major sections have been suspended due to a lack of coal and electricity during 1993, 1994, 1995, 2011 and 2014; and there were likely more occasions. 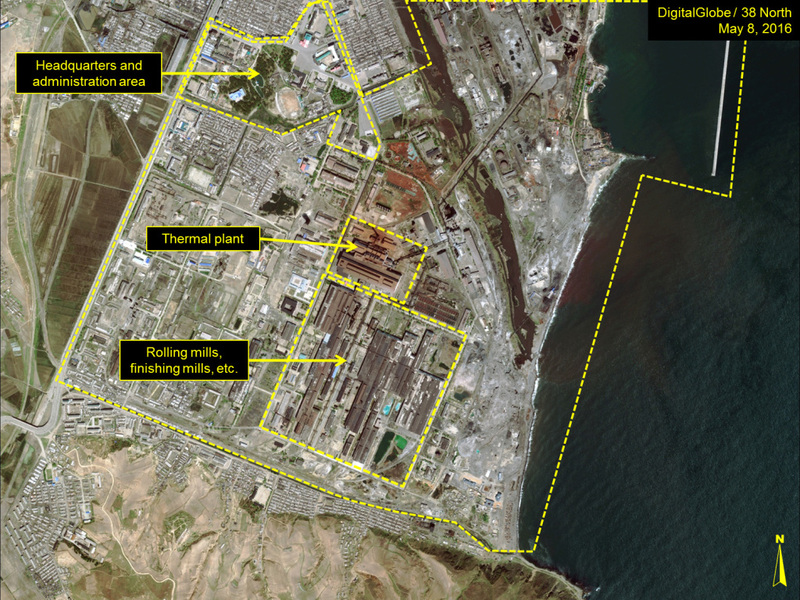 The North Korean leadership understands that the Kim Chaek Iron and Steel Complex is obsolescing and has been making attempts to address this problem during the past year. During July-November 2015, a series of small but significant upgrades were initiated around the modernization and “CNC-ification” of more than ten components of the facility including the Electrical Automation Workshop, Electric Repair Workshop Number 2, Hot-rolling Workshop, and Iron Workshop Number 2. These efforts were supported by scientists, technicians and specialists from a broad range of government, industry and academic institutions including the State Science and Technology Commission and Ministry of Metal Industry, State Academy of Sciences, Kim Chaek University of Technology, and Chongjin University of Mining and Metallurgy. Three months later, on February 23, a nation-wide “70-day Campaign” was begun to improve production at a number of industrial facilities including the Kim Chaek Iron and Steel Complex. 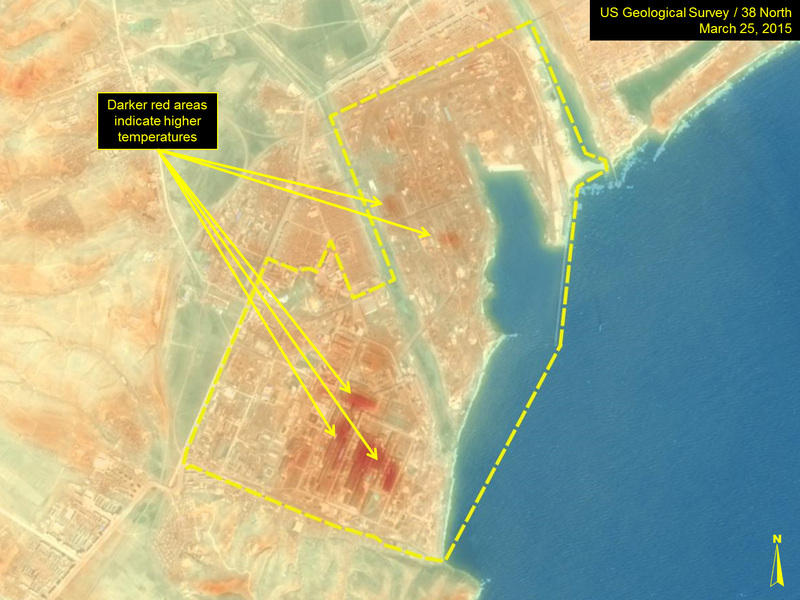 This campaign was completed during the first week of May and reportedly included the construction of an “anthracite briquette production base” at the complex. Figure 4. The North Complex. Figure 5. The South Complex. In March 2016, a Radio Free Asia report noted that it appeared that the “…steel mill only operated once in January and has been quiet since” due to shortages of raw materials (e.g., coke, coal, etc.) and power. The same report also indicates that the workers from the complex have been sent to other sites with the suspension. 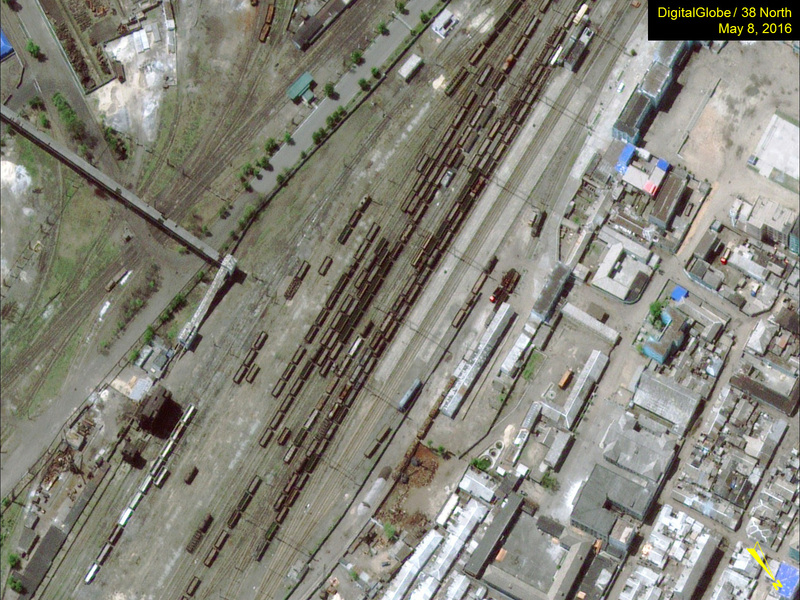 Numerous railcars are present in the northern railyard (figure 14). Figures 6-14. 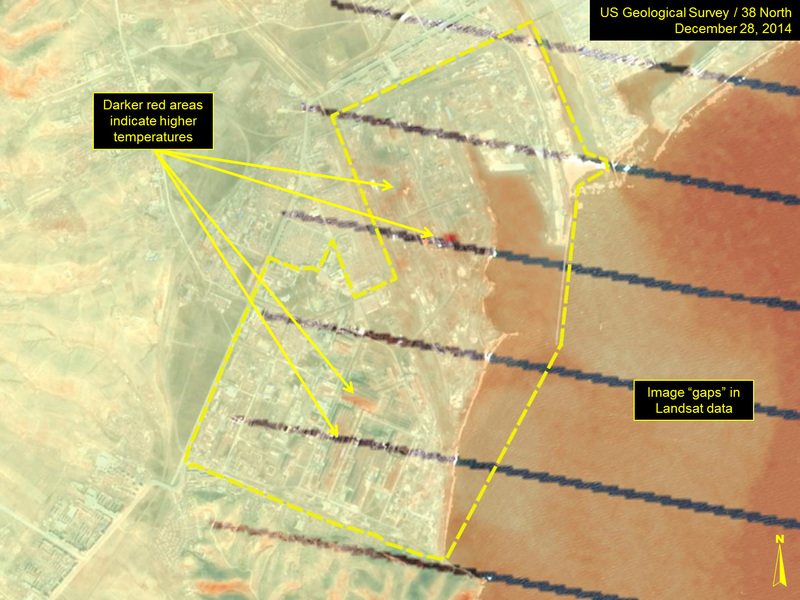 Activity throughout the Kim Chaek Iron and Steel Complex indicating it is still in operation. 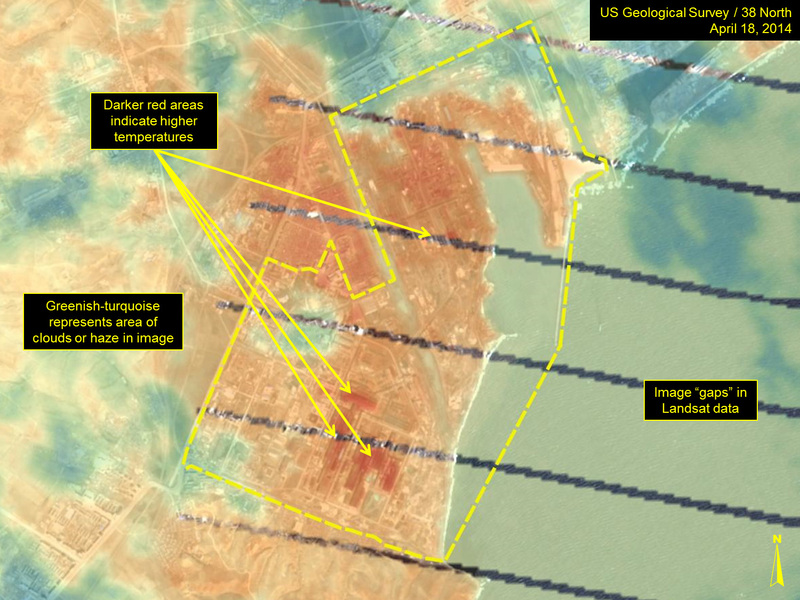 A review of Landsat satellite thermal imagery from April 2015 to present supports this assessment. 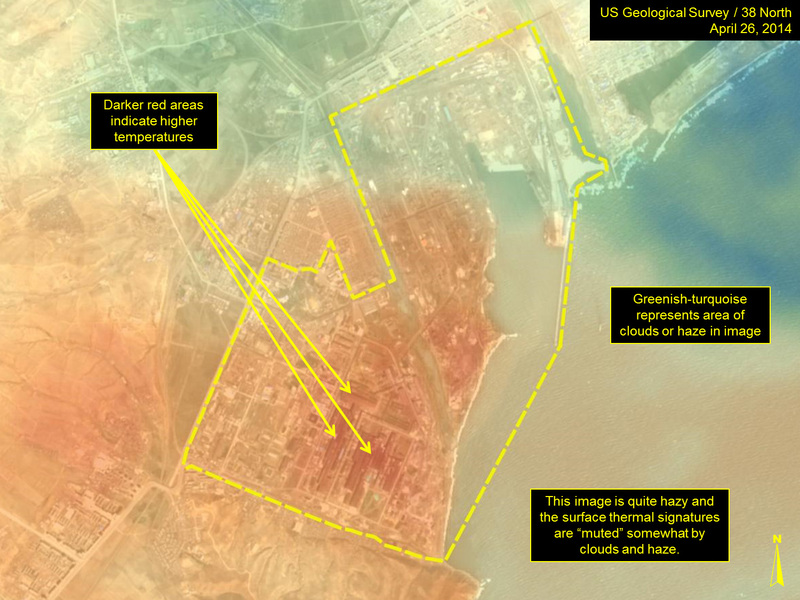 The imagery shows that the complex exhibits approximately a 5-degree-centigrade warmer signature than its immediate surroundings. This thermal pattern alone does not necessarily indicate that the mill is in operation, as solar heating of the buildings will also create a warmer signature, much like the sun-facing, surrounding hillsides. 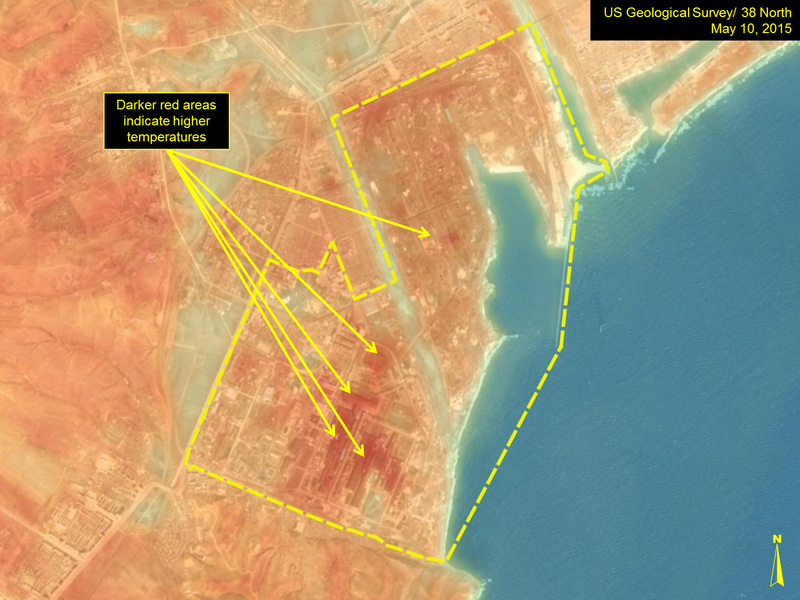 However, the concentration of higher heat signatures centered on certain critical areas suggests that reports of the complex being completely shut down are incorrect. These higher heat signatures are concentrated in two broad groups—north and south. In the north, the heat signatures are centered over the furnaces, sintering and roasting factories and the thermal plant. In the south, they are centered over the rolling mills and product milling factories and, to a lesser degree, the cooling plant northeast of the rolling mills. Complementing the thermal activity noted at the rolling mills is the consistently higher thermal signatures at the cooling facility northeast of the mills and at the northern thermal plant. The plant’s thermal signature generally matches or exceeds that of the rolling mills, indicating that it is operating. Figures 15-20. 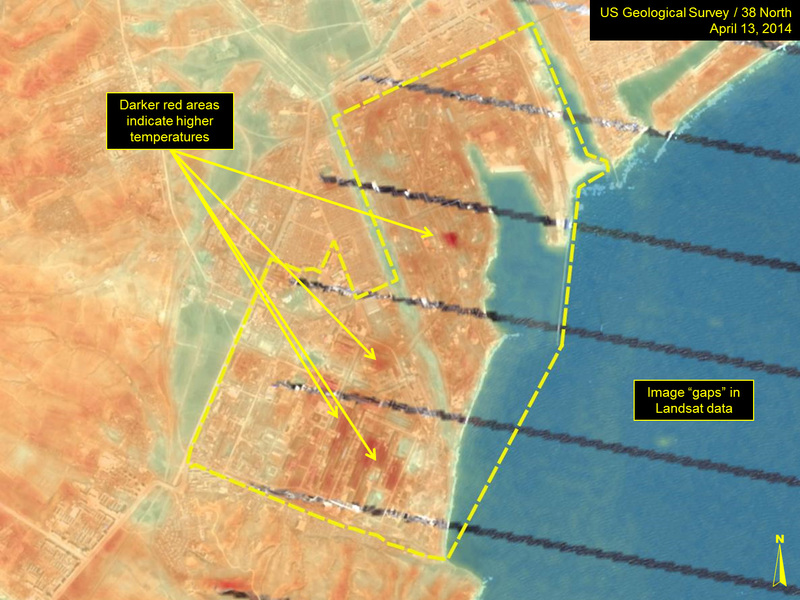 Thermal imagery shows heat signatures that indicate some level of operation. Prior to being designated a “complex” the facility was named the Kim Chaek Iron and Steel Factory or Kim Chaek Iron and Steel Works. 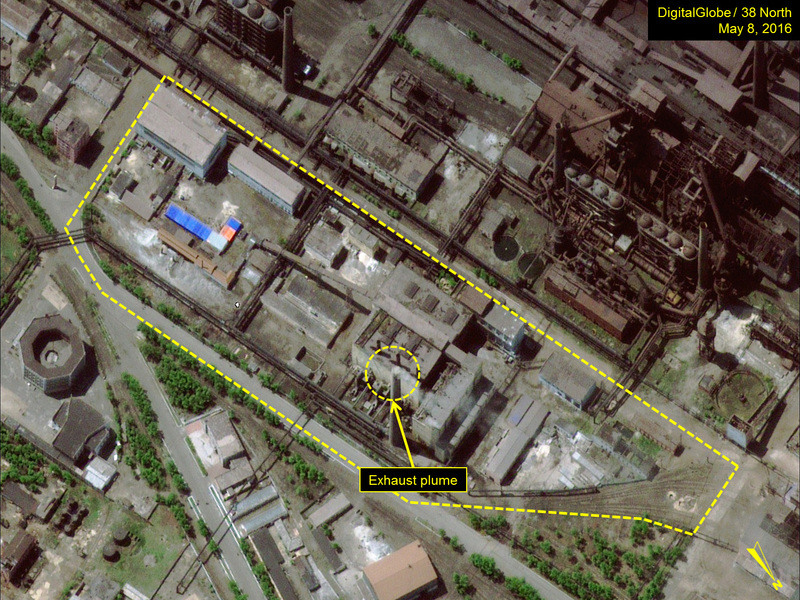 More recently North Korean media has taken to calling the complex “Kimch’o’l.” Externally, the Kim Chaek Iron and Steel Complex is sometimes known as the Kim Chaek Iron Works and Kim Chaek Steel Union Corporation. “All Working People Called upon to Bring about Another Great Surge,” KCNA, January 3, 2010. “Kim Jong Il Inspects Kim Chaek Iron and Steel Complex,” KCNA, April 20, 2011. “Kim Jong Un’s New Year Address,” KCNA, January 2, 2016. 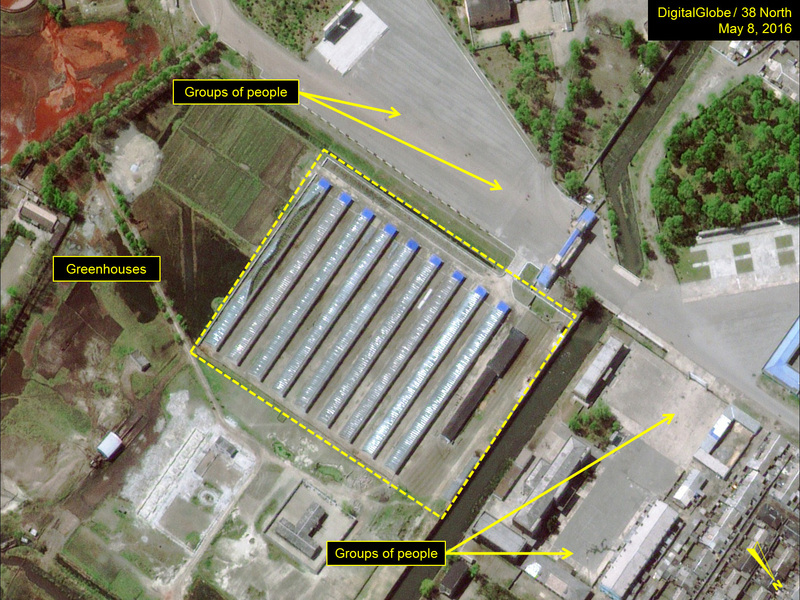 “DPRK Ironworks Idle as PRC Demands Payment,” JoongAng Ilbo, December 15, 1995, p. 2; Aidan Foster-Carter, Aidan, “North Korea Chooses Guns over Butter,” Asia Times, April 1, 2004; and Jeong Jin Im, “North Korea Bartering Steel For Food,” DailyNK, January 3, 2011. “News Release’ Revision of the ‘Foreign Users List,’” Japanese Ministry of Economy, Trade and Industry, April 4, 2006, http://www.meti.go.jp/english/. A few examples from 1995 include, “Iron Complex Workers Increase Daily Production,” KCBS, May 4, 1995; “New Innovations in National Production Reported,” KCNA, May 19, 1995; and “Iron, Steel Workers Score Gains in Production,” KCBS, May 27, 1995. A more recent example is, “Rolled Steel Production Increases,” Korea, No. 682, October 2012, p. 24. 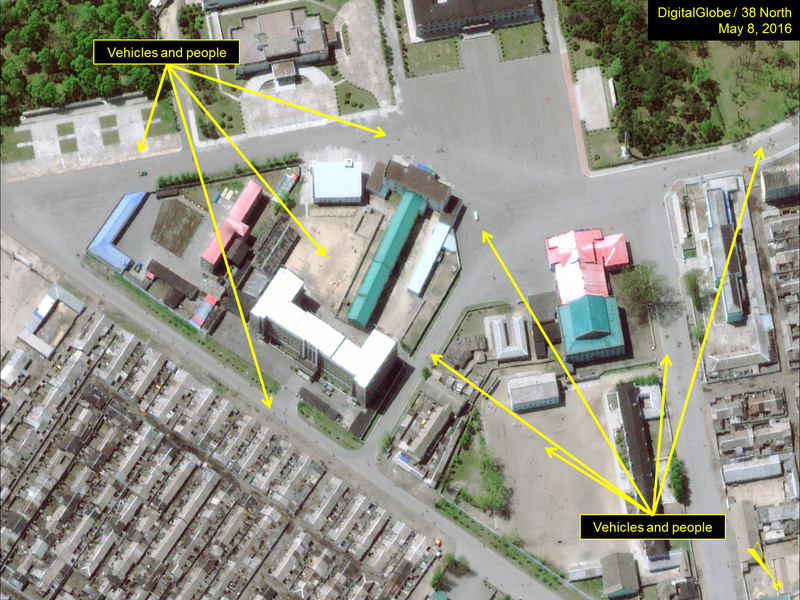 “DPRK Ironworks Idle as PRC Demands Payment,” JoongAng Ilbo, December 15, 1995, p. 2; “Aid, Kim Chong-il Caused Poor Economy,” JoongAng Ilbo, April 26, 1995, p. 3; “Metal Industry Workers Increase Steel Production,” KCBS, May 3, 1995; “Kim Chong-il Sends Thanks to Workers,” KCNA, December 14, 1995; “Fuel, Material Transportation Enables Increased Coal Output,” KCBS, August 22, 1996; Im, Jeong Jin. “’Model’ Kim Chaek Complex in Dire Straits,” DailyNK, January 31, 2011; “Kim Jong Il Inspects Kim Chaek Iron and Steel Complex,” DailyNK, April 20, 2011; and Choi, Song Min. 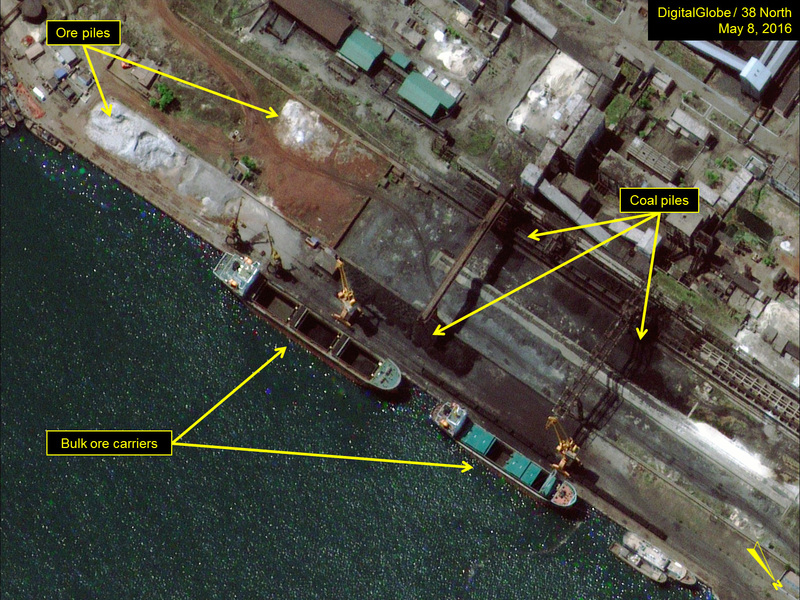 “NK Largest Iron Ore Mine Grinds to a Halt,” DailyNK, November 25, 2014. 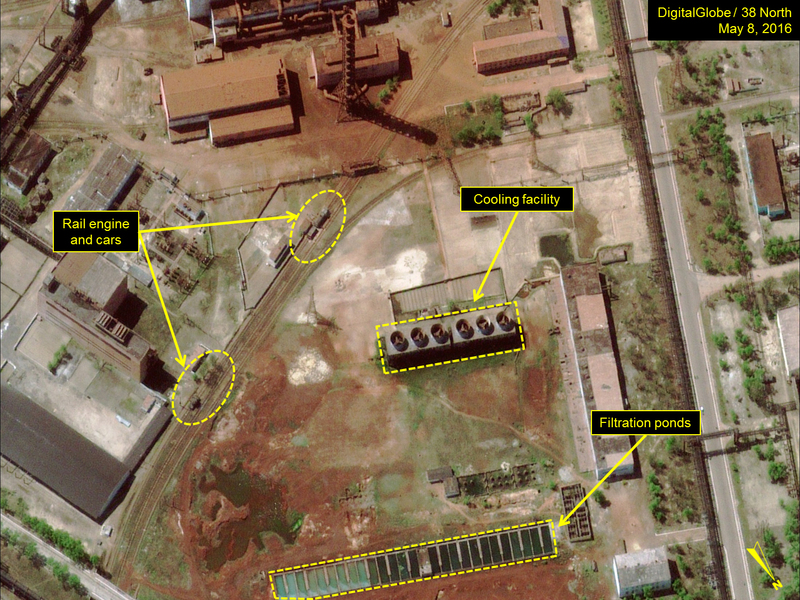 “Major Production Process of Kim Chaek Iron and Steel Complex Updated,” KCNA, December 14, 2015; and Ri, U’n-nam. “Let Us Meaningfully Mark the Seventh Congress of the Party with Unprecedented Labor Achievements in the Spirit That Grandly Celebrated the 70th Anniversary of the Founding of the Party,” Rodong Sinmun, November 2, 2015. “Big Efforts are paid to Converting the Electricity Control System,” KCNA, March 1, 2016; and “70-day Campaign,” KCNA, February 26, 2016. “Achievements Made in Metal Industry of DPRK,” KCNA, May 6, 2016; and “Scientific Achievements Made in DPRK,” KCNA, May 5, 2016. Quoted in Han-soo Lee, “Power Shortage Stops N. Korean Steel Mill,” Korea Times, March 30 2016.